Rea: "This could be the most important phase of the championship"
Unbeatable in the opening rounds of the 2017 MOTUL FIM Superbike World Championship, the beginning of the 2018 season has been tougher for the Spanish-based team While reigning champion Jonathan Rea (Kawasaki Racing Team WorldSBK) got his first win of the season in Race 1 in Thailand, both riders were out of the podium in Race 2, only the second time since 2015 this has happened. Rea leads the championship with 69 points and a two-point advantage after four races. Since joining KRT, he had never scored less than 95 in the two opening rounds. However, his results at MotorLand Aragon with KRT have been excellent, finishing on the podium in every race since joining the team and winning two. The Northern Irish rider is learning from the new season: “Aragon is a great circuit and one that I really enjoy riding at, although at this time of the year the conditions are generally quite cool. Last season was interesting riding against the Ducatis, to see how the bikes had strengths in different areas. This season we will have to understand how our bike behaves and how competitive we can be - but I am optimistic. Step-by-step I’m starting to feel better with the bike and understand what is required to be fast this season. It’s important to be strong at MotorLand, and with Assen coming right after, it could be the most important phase of the championship. Being back in Europe everything is more familiar and ‘normal’, so I am excited to see what this weekend brings”. Teammate Tom Sykes (Kawasaki Racing Team WorldSBK) also has two wins in Aragon, and three podium finishes in his last four races here. Sykes will be eager to bounce back after a gloomy weekend at the Chang International Circuit, where he only scored 10 points over two races. 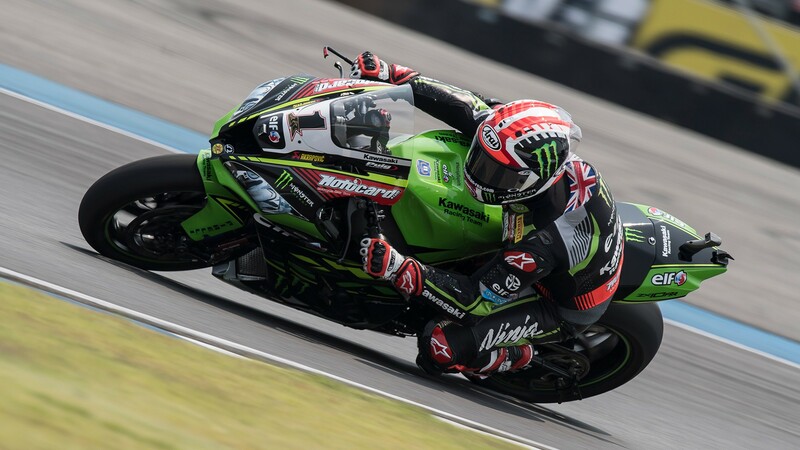 One Superpole away from beating Troy Corser’s record 43, Sykes seems ready for MotorLand Aragon: “Our preparations for Aragon are all good and I am looking forward to it. It is a shame the way things went at times in Australia and Thailand, because we started each race with great potential. I am happy about that and it was just unfortunate that we had a bit of bad luck in Thailand. I have to say that we are really quite strong now, and in a number of areas. The track at MotorLand almost flows into one, especially as we have one big left-hander at the end of the lap, not a first gear hairpin we had during the first few times we went there. There are some aspects of how well you exit the corner leading onto the long back straight that makes for a good top speed but the stronger bikes still seem to be able to make it up. Unfortunately, we have less engine revs this year. We will to ride it harder, that’s all there is to it!”. 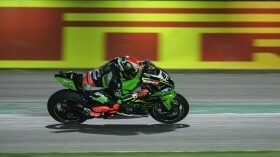 Keep up with Kawasaki Racing Team WorldSBK’s progress at MotorLand Aragon, from April 13th to 15th, with the WorldSBK VideoPass. Sykes: "The target is to finish strong for these guys"